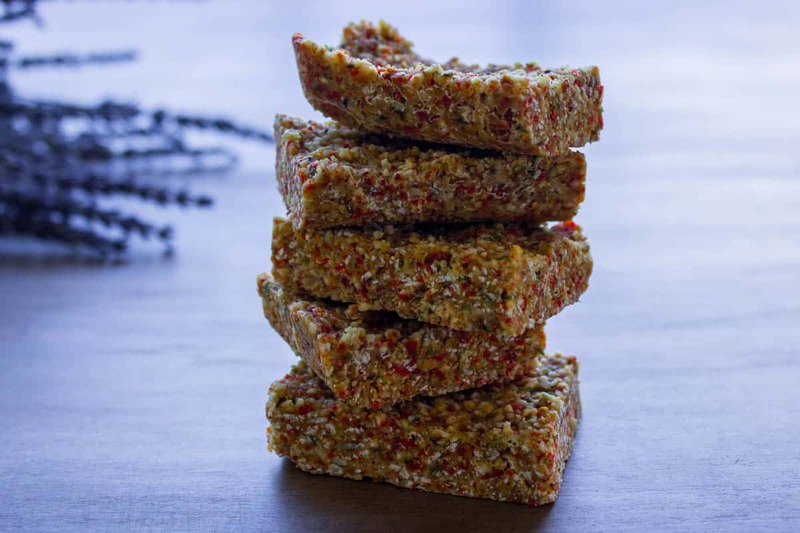 These Coconut and Goji Energy Bites have been my go-to snack for the past few days. I’ve been exercising in the evening and have wanted something to snack on when I get home that isn’t too sweet but is full of protein, good fats, vitamins and minerals. As usual, I ended up throwing a load of ingredients into the blender to see what happened and this is the result! 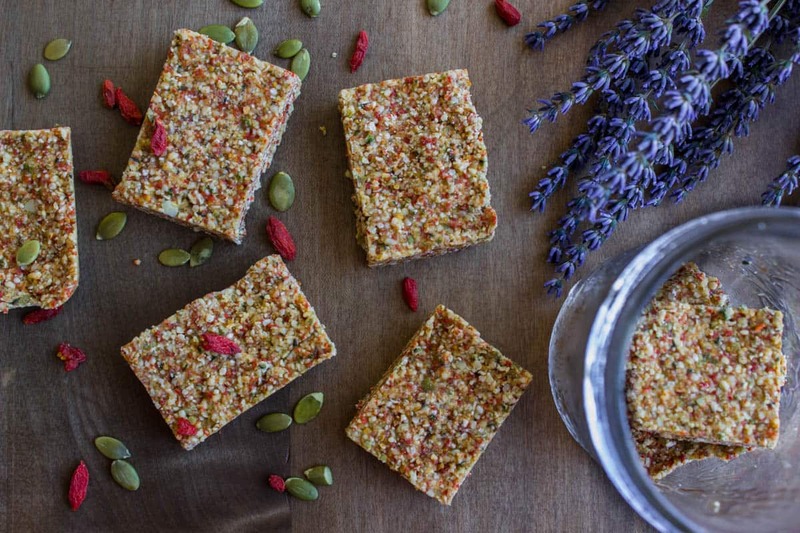 A semi-sweet energy bar that is sustaining and creamy while also being really good for you due to the goji berries, hemp, pumpkin seeds and coconut. You’re welcome to add in more maple syrup (or your sweetener of choice) if you like. I actually eat the bars without any syrup in at all because I don’t like a lot of sweetness, but I would only recommend doing this if you’re used to foods tasting less sweet and prefer it. It can be a bit of a shock otherwise! Blend the pumpkin seeds, almonds and goji berries until a fairly coarse flour is formed. Add them to a medium-sized mixing bowl. Add the hemps seeds, shredded coconut, vanilla and salt and mix all dry ingredients together. Add in the coconut oil, coconut butter and maple syrup and mix everything together thoroughly with your hands. Turn the mixture out onto a baking tray or the bottom of a large tupperware (it doesn’t need to be lined – the fat from the mixture should stop it sticking) and press it down evenly all over into a 1cm layer. Score the mixture into 9 pieces with a flat knife. Freeze the mixture for about 20-30 minutes, then remove the bars from the tray using a flat knife. Store in an airtight container in the freezer or fridge for up to a week.